Pointer to structure : Pointer which stores address of structure is called as “Pointer to Structure“. 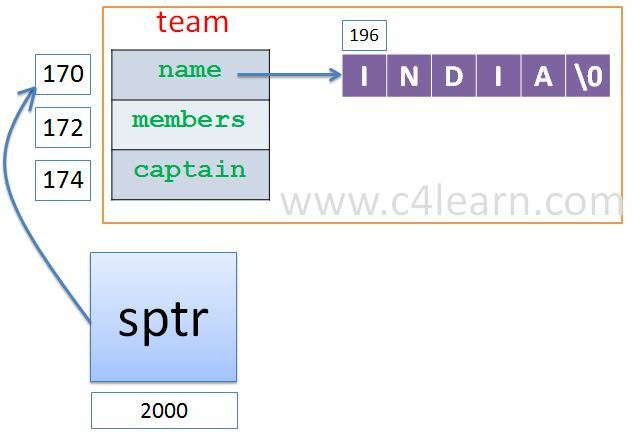 sptr is pointer to structure address. -> and (*). both represents the same. These operators are used to access data member of structure by using structure’s pointer.